What's the difference between fixed layout ePubs and flowable text? Why make an ebook rather than a book app? Can the books I create be read on a Kindle or Nook? Great – so you’ve created a fantastic book, and you’re ready to sell it. To get started, take a look at Apple’s FAQ about submission to the iBooks Store. This will cover most of what you need including a link to the application form. If you’ve added video to your book then don’t forget to convert them to M4V format using the Video Inspector before submission to Apple. More details in the video support article. We’d love to hear about your book when it’s available to buy. Do send us the details so we can take a look! On our blog, we've produced a guide to publishing your books on the iBooks Store. This covers creating an iTunes Connect account, setting up iTunes Producer and then submitting your book to the iBooks Store. Check out some of the books already published to the iBooks Store in our ‘Made with Book Creator’ Pinterest board. Have you got access to a Mac? You'll need access to a Mac to download iTunes Producer to send your book to Apple. If you don't have your own Mac, you'll need to borrow one, or perhaps use a service like macincloud.com to rent a Mac. Alternatively, Apple suggests several aggregators who can process your ebook for publishing. Does Book Creator use Digital Rights Management (DRM)? 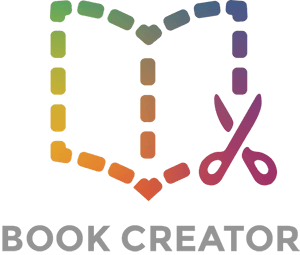 Book Creator does not apply DRM to your books, leaving you free to choose exactly how you want to share them with the world. If you submit your book to Apple’s iBooks Store you can choose at that time to add DRM to your book.